Batten down the hatches, Reds – it’s transfer silly season. And at Empire of the Kop, we’ll do our best to separate the accurate reports from the ridiculous. This one falls very much into the latter category! Spanish outlet AS are claiming that Liverpool want legendary keeper Iker Casillas and are suggesting he’s even shook hands on an agreement that will see him arrive on Merseyside for free in July 1st. The 36-year-old has been at Porto for a few seasons now after leaving Real Madrid, but unlike Gianluigi Buffon, he’s deteriorated with age and is no longer world-class. The truth is, there’s no accuracy to these reports at all. Liverpool boss Jurgen Klopp has stated time and time again that he’s very happy with his goalkeeping options. Talented German Loris Karius backs up Simon Mignolet, who enjoyed a terrific season, keeping five clean-sheets in our final six Premier League games. What’s more, Danny Ward is still contracted and has been brilliant on-loan at Huddersfield in the Championship all campaign. 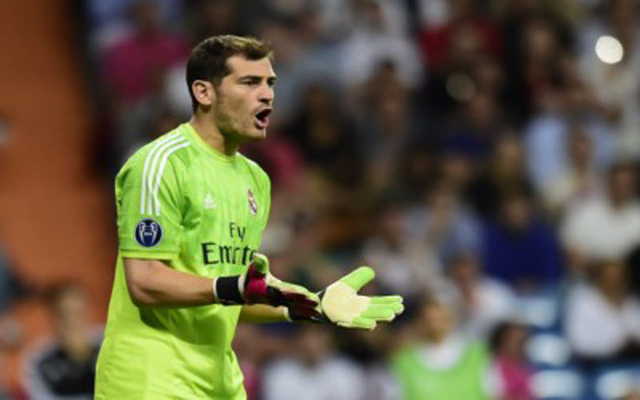 There is no interest in Casillas. The story has been conjured.